Newt Gingrich’s past endorsement of an individual mandate has drawn fire from conservatives. But that's not his only health care heresy. In 2008, Gingrich made the case for another idea that became part of Obamacare and, in due time, the focus of right-wing attacks. Worse still, at least from the standpoint of conservatives, he did so by writing an op-ed for The New York Times. Oh, and did I mention he had some help? 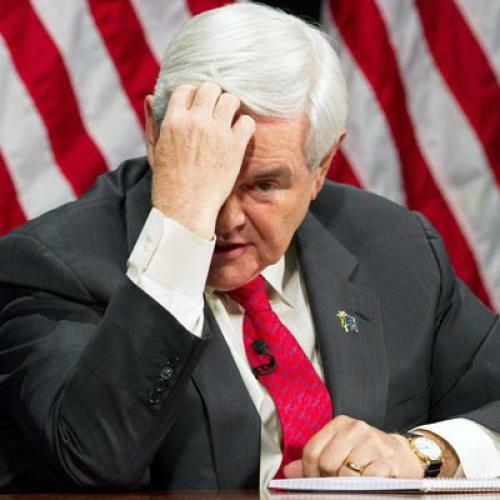 Gingrich had a co-author: John Kerry, the Democratic senator and former presidential nominee. The title of the article was “How to Take American Health Care from Worst to First” and it was actually a collaboration by Gingrich, Kerry, and Billy Beane. If you follow baseball or read (or saw) Moneyball then you are familiar with Beane. He’s the revered general manager of the Oakland Atheletics who helped pioneer the use of "sabermetrics." Remarkably, a doctor today can get more data on the starting third baseman on his fantasy baseball team than on the effectiveness of life-and-death medical procedures. Studies have shown that most health care is not based on clinical studies of what works best and what does not — be it a test, treatment, drug or technology. Instead, most care is based on informed opinion, personal observation or tradition. A few innovative health care organizations have been able to create, and apply, their own data. Among them is the Intermountain Health Care in Utah. Intermountain has won acclaim for producing high-quality care at costs that are about one-third less than the national average. Working closely with doctors, the federal government and the private sector should create a new institute for evidence-based medicine. This institute would conduct new studies and systematically review the existing medical literature to help inform our nation’s over-stretched medical providers. The Patient-Centered Outcomes Research Institute (PCORI) is an independent organization created to help people make informed health care decisions and improve health care delivery. PCORI will commission research that is guided by patients, caregivers and the broader health care community and will produce high integrity, evidence-based information. Right -- except that “sensible” turns out to be a subjective term. Ever since Obama started talking up the concept of researching the effectiveness of treatments, back in 2009, prominent Republicans and their allies have been attacking it -- in some cases, suggesting it is a first step towards the rationing of health care and denial of care to the sick and elderly. I e-mailed the Gingrich campaign earlier today, to see if he stands by the op-ed. I haven't heard back. (I'll update this item if/when I do.) But I wouldn't be shocked if Gingrich says he's changed his mind, because he's done that before. As my colleague Alec MacGillis first reported in 2009, Gingrich was an advocate for better end-of-life planning – until reimbursement for such planning became part of Obamacare. At that point, Gingrich joined the "death panel" chorus. Evidence-based health care would not strip doctors of their decision-making authority nor replace their expertise. Instead, data and evidence should complement a lifetime of experience, so that doctors can deliver the best quality care at the lowest possible cost. Of course, the same argument would apply to PCORI, the institute many conservatives are bent on crippling or even destroying. That's the problem for Gingrich when it comes to improving the delivery of health care. He isn’t crazy. But plenty of influential conservatives are.